Michael Hinh, DDS, is a talented and caring dentist who puts smiles on the faces of his patients at Sac Dentist in Sacramento, California. 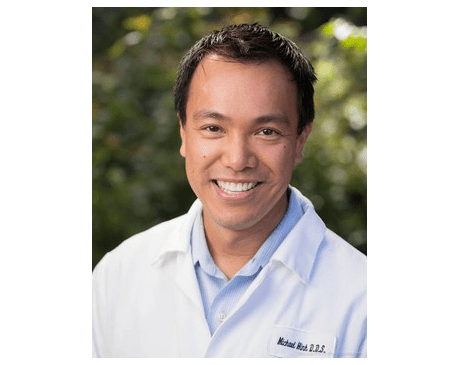 Dr. Hinh is a native of Northern California and graduated from the University of California in Davis, California, before earning his dental degree from the University of California, San Francisco, School of Dentistry in San Francisco. He is a proud member of the American Dental Association, the California Dental Association, and the Sacramento District Dental Society, and has been practicing in Sacramento since 2002. Dr. Hinh is passionate about dentistry and is committed to continuing his education and staying at the forefront of developments in the field. He frequently attends lectures, meetings, and conventions in order to learn and become proficient in all the latest procedures, materials, and techniques. Dr. Hinh lives in the Roseville area with his wife, Jean, and their two daughters, Sophia and Evelyn. When he’s not working his patients, he likes to spend time with family and friends and explore new restaurants in and around Sacramento. He’s also an avid photographer, traveler, moviegoer, and reader, and stays active by playing tennis and golf. We work with most PPO insurance plans. If you don't see your insurance provider listed, please call our office!